Happy Memorial Day weekend! Enjoy your barbecues and have fun! 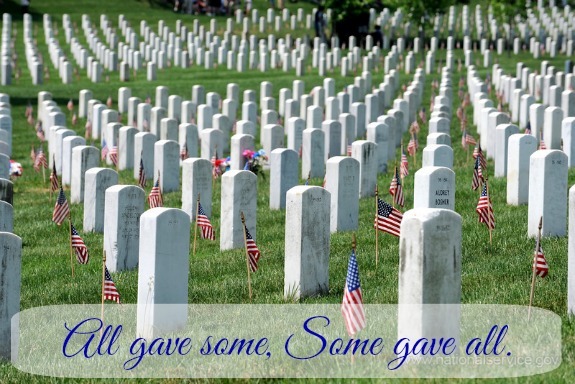 Most importantly, keep in mind those who gave their lives so that you might have the freedom to do so. They made the ultimate sacrifice and we should never forget that or take it for granted. By Tempie at May 24, 2014 .